I have a rigidbody which moves along a spline at a constant speed. (See image attached.) It's set to kinematic. Here is (a simplified version of) the code which moves it along the spline. I've removed all the spline-related particulars since I'm only interested in the rigidbody stuff. This works nicely when it's only the spline following cube. 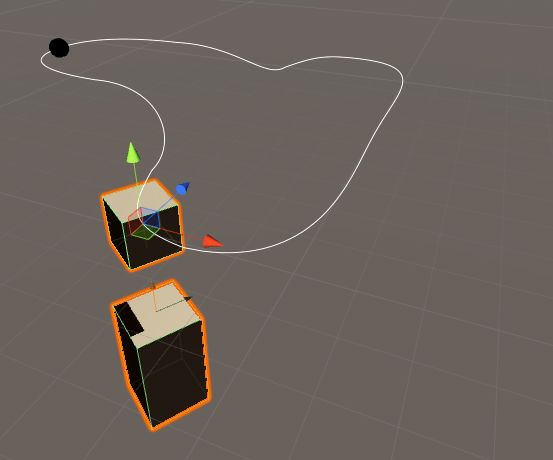 I want to be able to attach another weighted rigidbody so that it is 'pulled' by the spline following rigidbody. The idea is to have a factory where objects are being transported by a system of overhead rails. 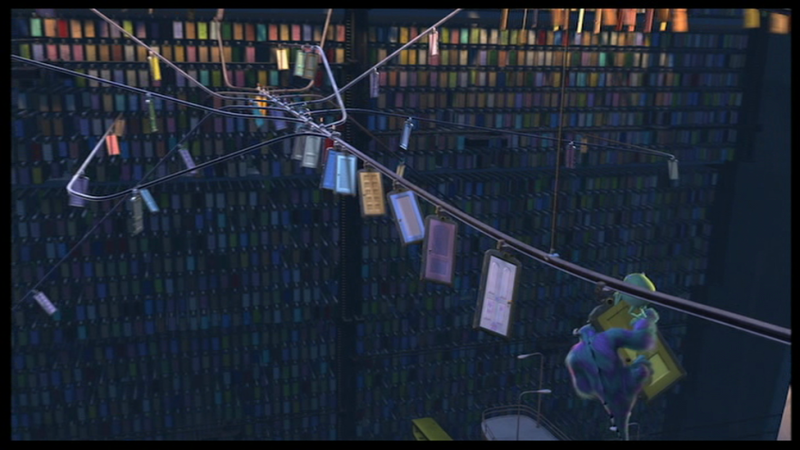 Think of the doors in Monsters Inc. However simply using a hinge or sprint joint doesn't seem to do the trick. The hanging objects swing wildly, moving crazily and sometimes doing entire 360s around the spline rigidbody.